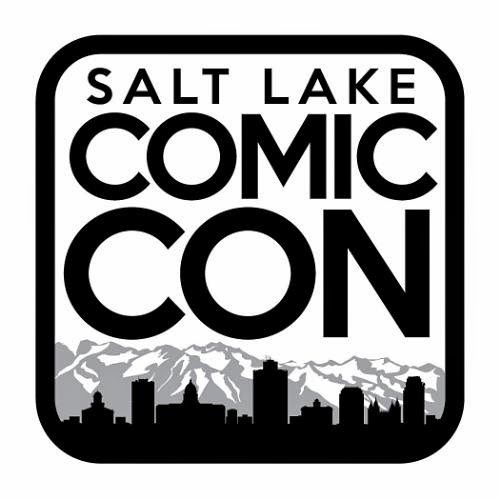 Salt Lake Comic Con is organized by Dan Farr Productions in partnership with Media One of Utah, a joint operating agreement between the Salt Lake Tribune and the Deseret News, and ABC4/CW30 of the Nexstar Broadcasting Group. On Aug. 20, 2014 Salt Lake Comic Con announced that they have hired the law firm of Maschoff Brennan to represent them in the lawsuit against San Diego Comic-Con International. Maschoff Brennan is a full-service intellectual property and complex litigation firm with off-the-charts technical experience, reliable service, and forward-thinking practices that allow it to handle the toughest IP cases. The firm specializes in enforcing or defending IP claims, and its litigation team has the experience and expertise needed to defend Salt Lake Comic Con's interests in the legal dispute with San Diego Comic-Con. The dispute in question refers to a cease and desist letter that, on July 25, 2014 San Diego Comic-Con International sent Salt Lake Comic Con asserting that the company cannot use the term "comic con" for any event, logo, trademark or website moving forward, further claiming ownership of all variations of the generic term "comic con." The cease and desist letter was followed by a lawsuit against Dan Farr Productions, LLC, Newspaper Agency Company, LLC, Daniel Farrand Bryan Brandenburg in the United States District Court, Southern District of California claiming trademark infringement and false designation of origin. "This is something had been going around since the end of SDCC this year. While it is true the term Comic Con was once synonymous with San Diego, the amount of other Comic Book based conventions coming onto the scene since the San Diego based Comic Con made its debut is both outstanding and important to the growth of the industry. Comic Con San Diego has been the mecca for comic book geeks, with comic cons representing their City/State San Diego Comic Con doesn't have a leg to stand on with this frivolous lawsuit. It has no choice but to fall in line and just call itself San Diego Comic Con or SDCC for short; much like New York Comic Con(NYCC), Boston Comic Con(BCC), Hartford Comic Con(HCC), and the plethora of others comic cons. While it may be the cool thing to be known as the first, it's the not the coolest thing to be the biggest bully or act like a 5yr old throwing a temper tantrum. Everyone in the industry and fans alike are grateful for what SDCC has done in terms of making rockstars out of the hardworking men and women in the comic book industry, but it doesn't give them the right to turn around try to impede other conventions from doing nothing but promote the industry as well". A number of media outlets have taken interest in the story and have written about it. The Associated Press has written two articles on the issue, the last one of which was published in more than 160,000 news outlets worldwide. In the court of public opinion, many media outlets have already declared Salt Lake Comic Con the winner. To review the letter, lawsuit, press articles and other details of the issue or supply supporting evidence, images and advice for this case click here for the Salt Lake Comic Con resource page. Salt Lake Comic Con 2014 is September 4-6, 2014 at the Salt Palace Convention Center in downtown Salt Lake City, Utah. In one year, Salt Lake Comic Con has already become the third largest Comic Con in the United States and is expected to draw more than 120,000 attendees at this year's event. To find out more about Salt Lake Comic Con or to buy tickets, visit the Salt Lake Comic Con website.